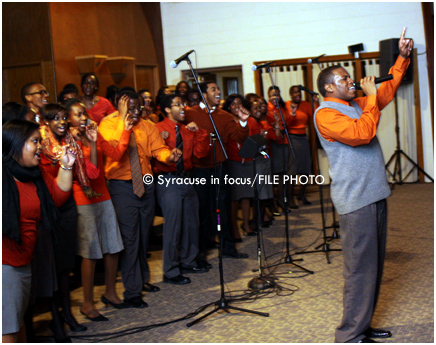 This evening the Black Celestial Choral Ensemble of Syracuse University will celebrate with their 39th Anniversary Concert. Current and alumni members, we wish you continued faith, favor and fulfillment. 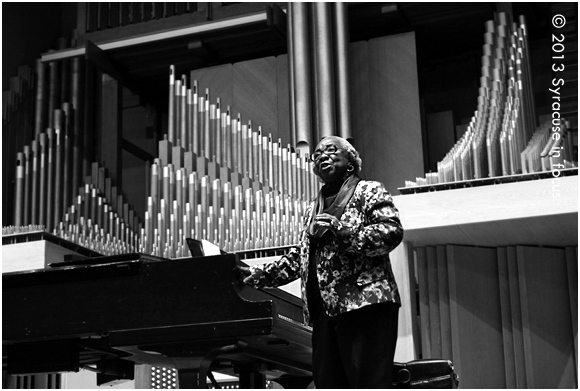 Dr. Joan Hillsman, music educator and author, gave a clinic on the art and historical significance of gospel music last night for students at Syracuse University. 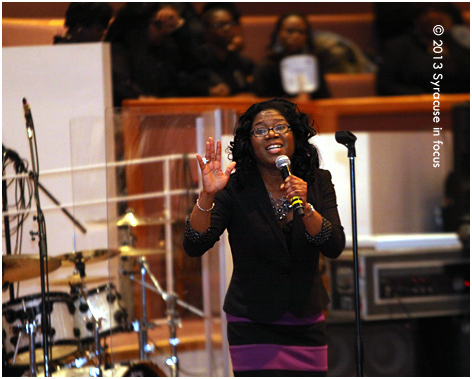 She was joined by a trio of singers that included LaRae Martin-Coore. The event was held at Setnor Auditorium. Check out a sample of their performance of “Wade in the Water” below. 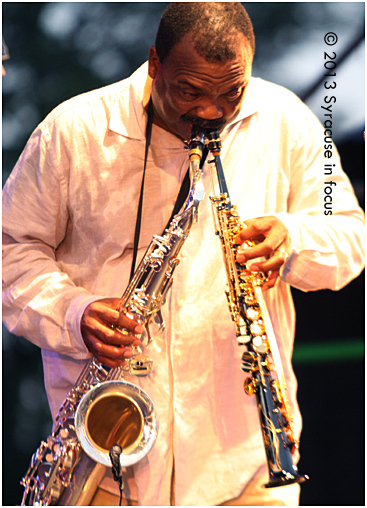 Day Three of the 2013 Syracuse Jazz Festival kept it hot. Ronnie Laws (with a voice every bit as rich as Lou Rawls) and Taylor Dane gave the fans all they could handle. 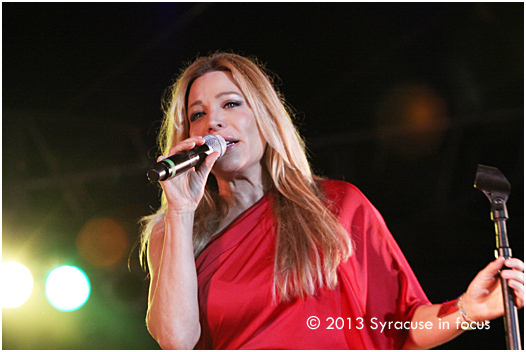 Laws provided a great East Coast vs. West Coast love fest by blowing a tribute to the late Grover Washington, Jr. And from the looks of it, you’d never know Dane had her breakout hit, “Tell it To My Heart” over two decades ago. She announced that she’ll be returning to Central New York later to play a role in the Musical Cats. Also, one of the cool things about the final installment of this year’s edition was getting to see collaboration with folk from the local scene such as Neva Pilgrim (co-founder of the Society for New Music). 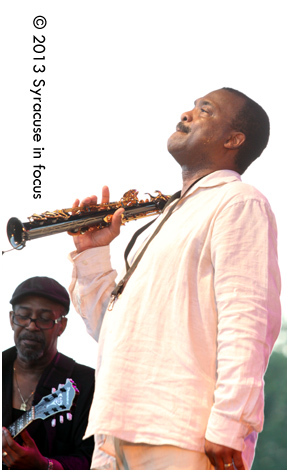 Fans also got to hear the superior skills of supporting musicians like Chuck Lamb (Brubeck Brothers Quartet) and Perry Hughes (Michigan State University educator and guitarist for Ronnie Laws). 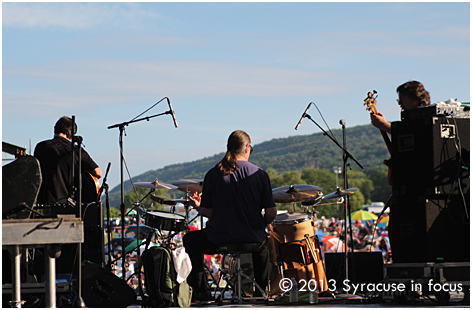 Brubeck Brothers Quartet (pictured Mike DeMicco, Dan Brubeck and Chris Brubeck) playing Jamesville Beach. Vintage: Taylor Dane first hit the pop music scene 25 years ago. 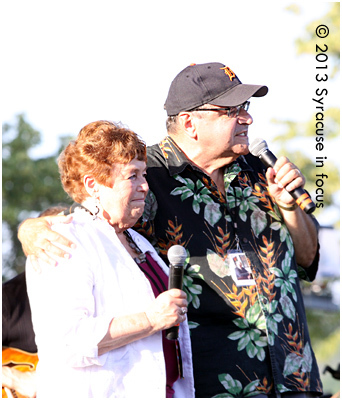 Neva Pilgrim on stage with Frank Malfitano before the Brubeck Brothers set. Below check out a clip from the gospel sounds of Five to Life, who provided a spiritual set with the sounds from the sanctuary. 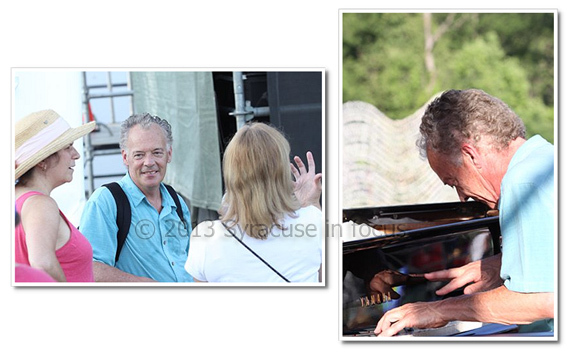 Chuck Lamb plays during a hot sunset, then visits with fans. Tiffany Lewish, Director in Training, leads the BCCE during a selection at the concert Saturday night. 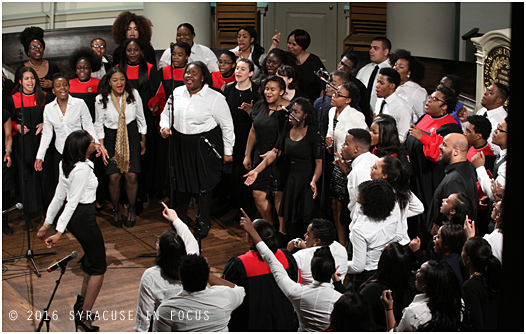 Syracuse University’s BCCE has been using song to help the community cross the line of faith for 36 years. 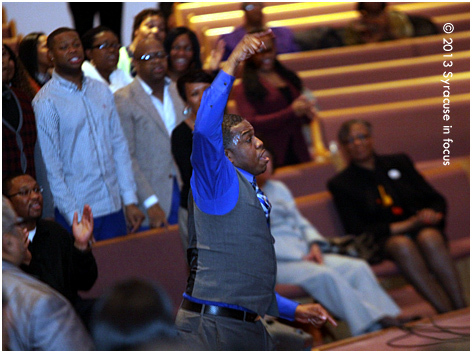 Below is a short clip of Isaiah Cobb leading a song of praise. 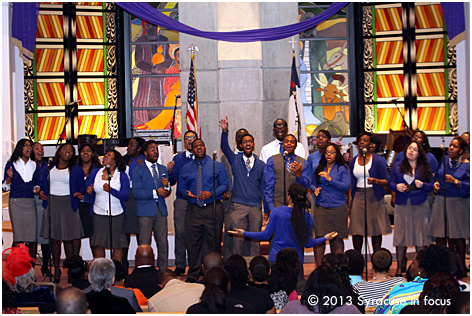 The Black Celestial Choral Ensemble of Syracuse University celebrates their 36th Year with a concert this weekend. 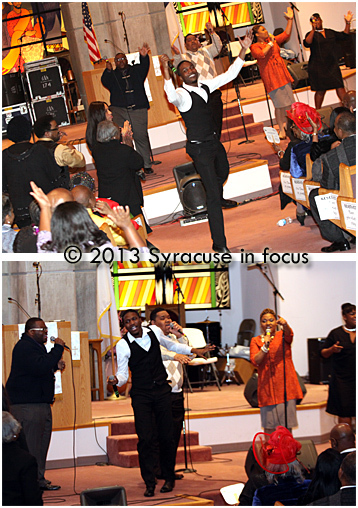 Here are a few photographs from Sunday’s 8th Annual Cora Thomas Gospel Extravaganza, held at the Bethany Baptist Church. Here’s a sample of the Watson Quartet singing at the Home Going Celebration for George Watson, Jr. last week in Rochester, New York. 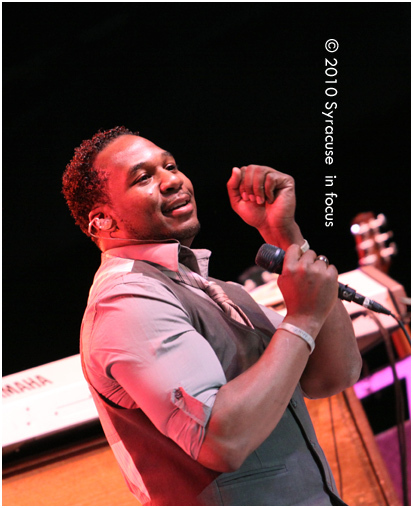 Robert Randolph, master of the steel pedal guitar, danced while he played with his bad at the New York State Fair tonight. 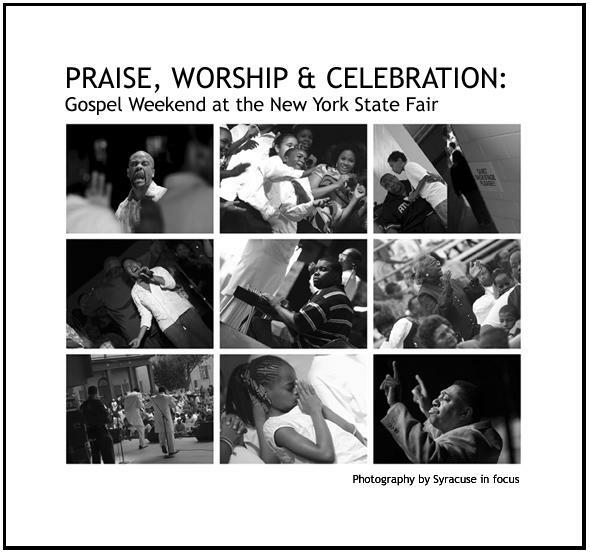 Randolph’s performance reminded me that the last time I covered a steel pedal performance was by the late Leonard Stephens, Jr. of Syracuse, during Gospel Weekend a few years ago. Thanks to the leadership of Joy Community Church in Rochester, NY for their decision to host the Gospel Hip Hop Festival last weekend. 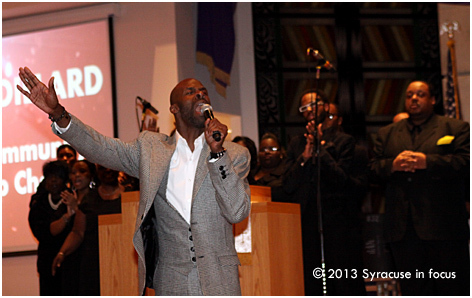 We finally got a chance to see Renewed Disciples and they were certainly a crowd favorite. 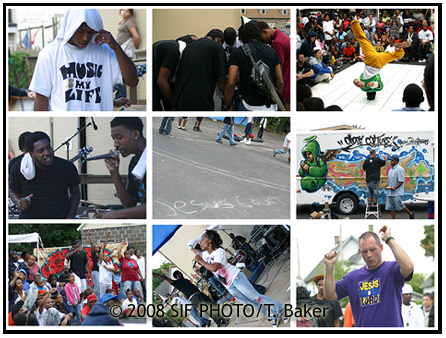 In addition to the music, the festival stayed true to the spirit of the movement by including dance and graffiti art as well. We were particular impressed with the artists Sno and Oz, who were given an old van to serve as their canvas. Thanks also to cousin Marcus, who told us about this event.